The popularity of 3D printing is increasing every day. 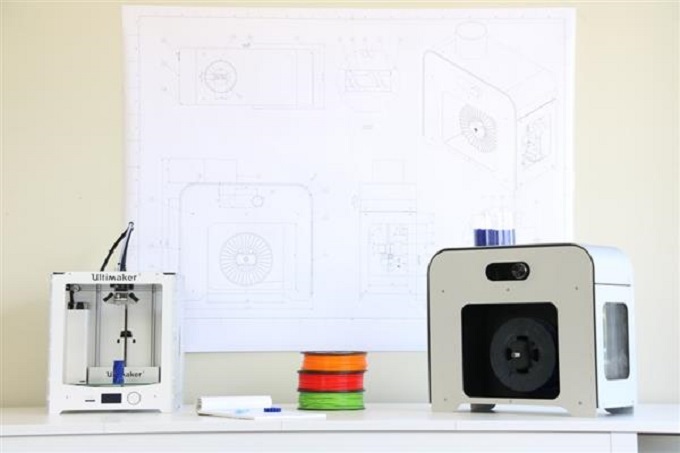 With the growing popularity of the technology 3D printers are constantly changing – they have become more affordable, more suitable for home use and they’ve become smaller. However the filament doesn’t follow the same pattern. Owing a 3D printer means that you have to get more and more filament all the time, which may appear to be too costly. A Dutch startup 3devo and their team also faced such a problem as their business relies on everyday use of 3D printers. They’ve also pointed that current filament lacks flexibility in material color and type. 3devo managed to deal with these problems having invented a solution of their own. They’ve developed a new filament extruder NEXT 1.0, with which users can develop, customize and create their own 3D printing filament. And it’s not that costly. In this article we will cover its main advantages. The NEXT 1.0 extruder is a professional one, which has been created to optimize 3D printing process. The team wanted to create a new type of extruder that would provide fast and easy use, the ability to experiment with colors and also recycle failed 3D prints. The last option has never occurred to other developers. Using the NEXT 1.0 extruder you will be able to create the filament you need. Looks as if it were an important step for 3D printing. If you use 3D printers on a regular basis, you should have noticed that turns out too costly. The team have counted that using 1 kilo of plastic pellets as the prime matter for NEXT 1.0 will be eight times cheaper! Moreover, NEXT 1.0 will also help you save time spent on producing each item. 3D printing is a revolutionary technology. However one may argue that it is dangerous for the environment. The new NEXT 1.0 extruder will allow you to recycle plastic bottles and other waste, thus reducing damage to the environment. It is a huge step to make 3D printing an environmentally friendly technology. Also imagine that all the fail prints can be recycled and re-used once again, but not thrown away. 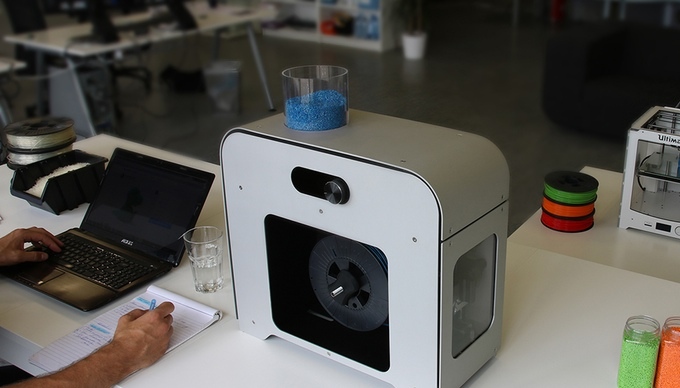 Lots of 3D printer users are willing to create their own 3D printing filament. These days there is a lot of scientific projects concerning the development of new 3D printing filament and materials that could be used as a filament. 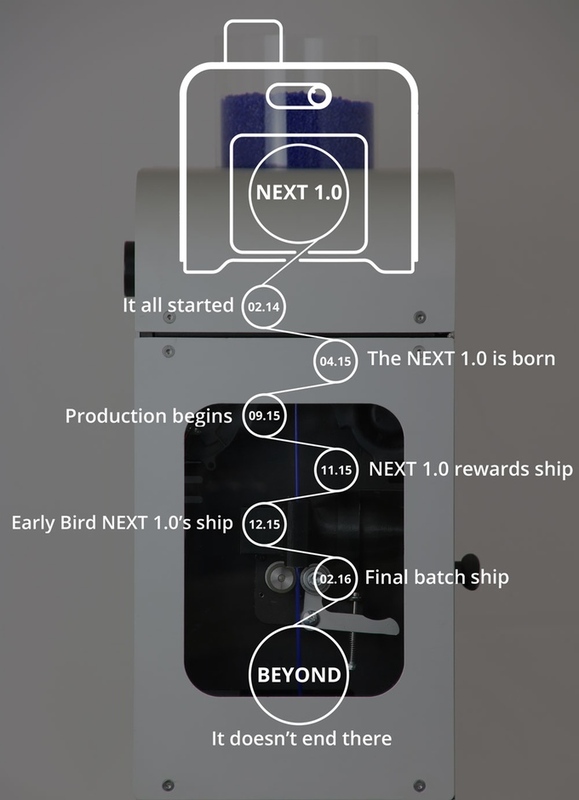 The new NEXT 1.0 extruder allows its users create a filament of their own. This extruder is rather small, but it’s a smart powerful device packed with the latest technology. The NEXT 1.0 extruder possesses seven peculiar features that will make the majority of users want to get the extruder immediately. We are going to describe each of them. First – the high quality of extruder was achieved thanks to close cooperation with specialists in extruder production sphere. 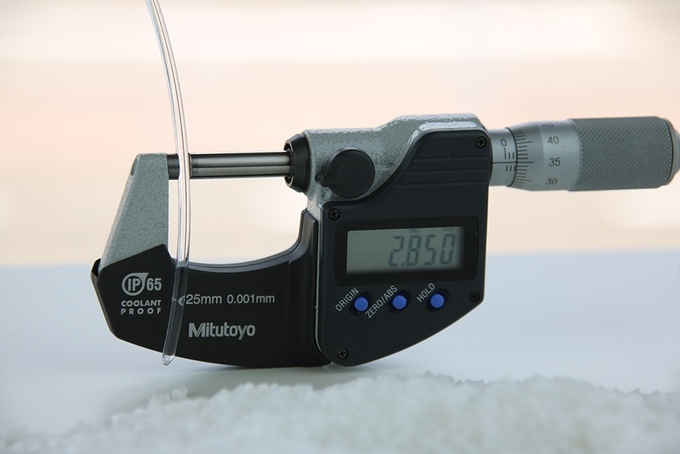 The extruder screw possesses the same level of precision as industrial extruders. The regulated drive system powers the NEXT 1.0, which ensures precise RPM control and as the result – precise filament. The second feature is the three separately heated zones. Each of the zones regulates its exact temperature, so the extruder controls the temperature to a greater degree and the filament is of higher quality. This feature makes the NEXT 1.0 most suitable for experimenting with new types of material. The third is hopper refill sensor. The hopper is the place where little pieces of plastic are stored before being extruded into the filament. The peculiarity of the NEXT1.0 is that it has a sensor that alarms when the hopper level is below the particular one. When the hopper is empty, the sensor will shut down the extruder. This is safe for 3D printers and prevents the extruder from wearing out. The next feature is the diameter control system. The extruder has a diameter sensor that adjusts the machine according to the filament sizes thus creating solid filament. Also this feature allows changing the diameter of the filament according to the properties of some particular printers. How does it work? It regulates the puller speed so that you could change between diameters without changing the hardware. Automatic winding system is the fifth peculiarity, which is important for all the users. They can start the machine, set the necessary options and wait till the extruder does the work. When the team were designing the extruder, they meant to improve the way of producing the filament. And in this process it is important to have an automated winding system. You may find it difficult to mount and set up your spool. To make it easier, the team designed a spool mount that can be swapped easily. Thanks to the new design you can change the spool in a couple of seconds. That is the sixth feature. And last but not the least is the high torque DC electromotor. The motor and the gearbox provide high torque range 160 Nm to 24,8 Nm. Moreover the extruder features a user-friendly interface with easy navigation and clear design. All this allows different levels of extruder control. You see from all the mentioned above that the team has been working very hard to do their best to ease the process of 3D printing and to provide users with the first consumer-friendly filament extruder. They have also started the campaign on Kickstarter. And with your support they are ready to put the extruder into production. 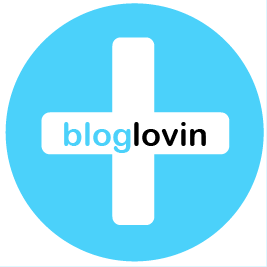 If you support the campaign, you will be able to become part of 3D printing revolution.